“Agreement”means these Terms of Service and any applicable Order Form and Statement of Work fully executed by Client and H & E Marketing Solutions, LLC. “Order Form” means any fully executed H & E Marketing Solutions, LLC Order Form that references this Agreement. “Services” means the Digital Experience Management services specified in an Order Form to be provided by H & E Marketing Solutions, LLC to Client directly, through any H & E Marketing Solutions, LLC website under the terms of this Agreement. Services may include Third Party Services and any H & E Marketing Solutions, LLC professional services as set forth in any Statement of Work between the parties. “Statement of Work” or “SOW” means a document signed by Client and H & E Marketing Solutions, LLC as an addendum to this Agreement which sets out the scope of professional services to be performed by H & E Marketing Solutions, LLC for Client and any other applicable termsand conditions. “Third Party Services” means any product, service or Content delivered or fulfilled by a third party supplier to H & E Marketing Solutions, LLC that may be part of the Services. 2.1 Subject to all the terms of this Agreement and payment of all fees, and only for the Service Term specified in an Order Form, H & E Marketing Solutions, LLC grants Client a limited, personal, non-exclusive, non-transferable, worldwide right to use the Services, solely for Client’s own internal business purposes subject to any additional terms and conditions set forth on the applicable Order Form. To the extent Services relate to one or more Properties listed in an Order Form, the license herein is limited to the Properties in the Order Form only. All rights not expressly granted to Client are reserved by H & E Marketing Solutions, LLC. There are no implied rights. Client will not (and will not permit any third party to): (i) mirror any Content on any H & E Marketing Solutions, LLC website or any server owned or controlled by H & E Marketing Solutions, LLC without the prior written permission of an officer of H & E Marketing Solutions, LLC; (ii) modify, translate, or create derivative works based on the Services, reverse engineer, reverse assemble or otherwise attempt to discover any H & E Marketing Solutions, LLC Proprietary information; (iv) remove any proprietary notices or labels from the Services; or (v) provide any content or information from the Services to any unauthorized third party. 2.2 Client may not use the Services or any H & E Marketing Solutions, LLC Proprietary Information for any purpose other than as expressly permitted in this Agreement. 3.2 Payment Terms. All fees shall be due and payable as indicated in the applicable Order Form. Client agrees to pay H & E Marketing Solutions, LLC all fees when due and will be considered delinquent after fifteen (15) days of the due date. The prices do not include any taxes. Delinquent payments shall bear interest at the rate of one-and-one-half (1.5%) per month (or the highest rate permitted by law, if less) from the payment due date until paid in full. Client will be responsible for all reasonable expenses (including attorneys’ fees and costs) incurred by H & E Marketing Solutions, LLC in collecting unpaid or delinquent amounts. Client may not require H & E Marketing Solutions, LLC to use a third-party vendor for billing without H & E Marketing Solutions, LLC’s prior written consent. If H & E Marketing Solutions, LLC consents to such billing method, Client shall be responsible for all fees and costs associated therewith, including without limitation, any fees incurred by H & E Marketing Solutions, LLC. H & E Marketing Solutions, LLC reserves the right to suspend the Services (by advance written notice or email) until Client pays all past due amounts. 3.3 Services are cancelable with thirty (30) days written notice. 4.1 Ownership of H & E Marketing Solutions, LLC Proprietary Information. All information of H & E Marketing Solutions, LLC relating to H & E Marketing Solutions, LLC products, or any information relating to H & E Marketing Solutions, LLC processes, designs, software programs, source code, formulas, test procedures and results, improvements, inventions or techniques, client lists, business plans, marketing plans and strategies, pricing strategies or other subject matter pertaining to any business of H & E Marketing Solutions, LLC (“H & E Marketing Solutions, LLC Proprietary Information”) is owned by H & E Marketing Solutions, LLC. Client shall not reproduce or allow any such H & E Marketing Solutions, LLC Proprietary Information to be delivered to or used by any third party. 4.2 Client Content. Client may upload Client Content to the Services or provide Client Content to H & E Marketing Solutions, LLC in connection with Client’s use of the Services. H & E Marketing Solutions, LLC does not verify, endorse, or claim ownership of any Client Content, andClient retains all right, title, and interest in and to the Client Content. Client grants to H & E Marketing Solutions, LLC during the term of this Agreement a non-exclusive, royalty-free, world-wide right to modify, create derivative works and publicly display Client Content solely andexclusively as part of H & E Marketing Solutions, LLC’s performance of Services to Client. 5.1 As used herein, “Confidential Information” means all confidential information of a party (“Disclosing Party”) disclosed to the other party (“Receiving Party”), that is designated in writing as confidential or that reasonably should be considered confidential in light of the content of the information and the circumstances of its disclosure, as well as the terms and conditions of this Agreement (including pricing and other terms reflected in all Order Forms hereunder) and all H & E Marketing Solutions, LLC Proprietary Information. Each party as the Receiving Party understands that the other party as the Disclosing Party has disclosed or may disclose information relating to the Disclosing Party’s business. The Receiving Party agrees: (i) to take reasonable precautions to protect such Confidential Information and to only use the Confidential Information to perform its obligations under this Agreement, and (ii) not to divulge to any third person any such Confidential Information. The Disclosing Party agrees that the foregoing shall not apply with respect to any information that the Receiving Party can document (a) is or becomes generally available to the public, or (b) was in its possession or known by the Receiving Party prior to receipt from the Disclosing Party, or (c) was rightfully disclosed to it by a third party, or (d) was independently developed without use of any Confidential Information of the Disclosing Party. This Section 5 will not be construed to prohibit the disclosure of Confidential Information if such disclosure is required by law or order of a court or other governmental authority. The parties agree to give the other party prompt notice of the receipt of any subpoena or other similar request for such disclosure. 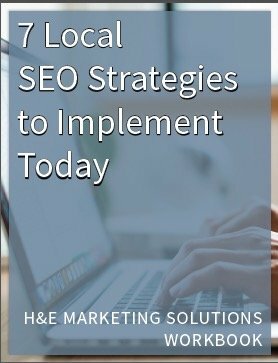 The Services or H & E Marketing Solutions, LLC website may contain hyperlinks to web sites that are not controlled by H & E Marketing Solutions, LLC. Client acknowledges and agrees that H & E Marketing Solutions, LLC is not responsible for and does not endorse or accept any responsibility over the content or use of third party sites, including, without limitation, the accuracy or reliability of any information, data, opinions, advice or statements made on these web sites. Client further understands that Client’s use of such third-party sites and Third Party Services are governed by separate agreements accompanying such portions of the Services and Client is responsible for complying with the terms and conditions of such agreements. Client dealings with other entities promoted on or through the Services, including payment anddelivery of related goods or services, and any other terms, conditions, warranties or representations associated with such dealings, are solely between Client and such other entity. Client agrees that H & E Marketing Solutions, LLC shall not be responsible or liable for any loss or damage of any sort incurred as the result of any such dealings or as the result of the promotion of such other entities through the Services. 8.1 Client Warranty. Client represents and warrants that (a) Client will not engage in any activities or actions in connection with the Services that infringe or misappropriate the intellectual property rights of others, including without limitation, copyright, patent, trademark, trade secret and confidential information; (b) engage in any activities that violate the personal privacy or publicity rights of others; (c) Client will not breach any Third Party terms or conditions, terms of service, acceptable use policies, privacy policies or any similar agreements; and (d) that Client is the owner, licensor, or is the fully authorized user of all Client Content; and (d) Client will not upload, record, publish, post, link to, or otherwise transmit or distribute Content that: (i) advocates, promotes, incites, instructs, assists or otherwise encourages violence or any illegal activities; (ii) attempts to mislead others about Client identity or the origin of a message or other communication, or impersonates or otherwise misrepresents Client’s affiliation with any other person or entity, or is otherwise materially false, misleading, or inaccurate; (iii) promotes, solicits or comprises inappropriate, harassing, abusive, profane, defamatory, libelous, threatening, hateful, obscene, indecent, vulgar, pornographic or otherwise objectionable or unlawful content or activity; (iv) is harmful to minors; (v) contains any viruses, Trojan horses, worms, time bombs, or any other similar software, data, or programs that may damage, detrimentally interfere with, surreptitiously intercept, or expropriate any system, data, Information, or property of another; or (vi) violates any law, statute, ordinance, or regulation (including without limitation the laws andregulations governing export control, unfair competition, fair housing, anti-discrimination, or false advertising). 8.2 Services Operations. H & E Marketing Solutions, LLC warrants that the Services will operate or be provided in material conformity with the applicable documentation provided by H & E Marketing Solutions, LLC and that the functionality of the Services will not be materially decreased during a Term. For any breach of this warranty, the Client’s sole and exclusive remedy and H & E Marketing Solutions, LLC’s sole and exclusive liability shall be for H & E Marketing Solutions, LLC to correct any reported failure in the Services causing a breach of this warranty. H & E Marketing Solutions, LLC shall have no obligation with respect to a warranty claim hereunder unless notified of such claim within thirty (30) days of the first instance of any material functionality problem. If H & E Marketing Solutions, LLC is unable to correct any reported failure in the Services causing a breach of this warranty within ten (10) business days, Client may terminate the Services that H & E Marketing Solutions, LLC is unable to correct upon written notice to H & E Marketing Solutions, LLC, and H & E Marketing Solutions, LLC will refund to Client any unused pre-paid fees for such terminated Services. Subject to the foregoing warranty H & E Marketing Solutions, LLC reserves the right, for any reason, in H & E Marketing Solutions, LLC’s sole discretion and without notice to Client, to modify or change the Services or H & E Marketing Solutions, LLC Platform, to provide additional features or functions, or to enhance, delete or modify Content or its format or presentation. Notwithstanding the foregoing, H & E Marketing Solutions, LLC may change, modify, suspend or discontinue any andall aspects of the Services, H & E Marketing Solutions, LLC Platform or Content to reflect changes in Third Party Services (or the terms on which such are made available) and, except for a refund to Client of any unused pre-paid fees for such terminated Third Party Services, H & E Marketing Solutions, LLC will not be liable to Client or to any third party for doing so. 8.3 Disclaimer of Warranties. EXCEPT AS STATED IN THIS SECTION 8, THE SERVICES AND H & E MARKETING SOLUTIONS, LLC ARE PROVIDED ON AN AS-IS BASIS, WITHOUT WARRANTY, REPRESENTATION, CONDITION, OR GUARANTEE OF ANY KIND, EXPRESS OR IMPLIED, AND CLIENT’S USE THEREOF IS AT CLIENT’S OWN RISK. TO THE FULLEST EXTENT PERMITTED BY LAW, H & E MARKETING SOLUTIONS, LLC DISCLAIMS ALL WARRANTIES, REPRESENTATIONS, CONDITIONS, OR GUARANTEES, EXPRESS OR IMPLIED, INCLUDING WITHOUT LIMITATION ANY WARRANTIES OR CONDITIONS OF TITLE, MERCHANTABILITY, MERCHANTABLE QUALITY, SERVICE QUALITY, NONINFRINGEMENT, AND FITNESS FOR A PARTICULAR PURPOSE. EXCEPT FOR PAYMENTS TO THIRD PARTIES UNDER THE INDEMNITY OBLIGATIONS UNDER THIS AGREEMENT AND FOR A PARTY’S FRAUD, GROSS NEGLIGENCE OR WILLFUL MISCONDUCT NEITHER PARTY SHALL BE LIABLE UNDER THIS AGREEMENT FOR ANY INDIRECT, INCIDENTAL, SPECIAL, CONSEQUENTIAL, PUNITIVE, OR EXEMPLARY DAMAGES, INCLUDING BUT NOT LIMITED TO DAMAGES FOR LOSS OF PROFITS, GOODWILL, USE, DATA OR OTHER INTANGIBLE LOSSES EVEN IF THE OTHER PARTY HAS BEEN ADVISED OF THE POSSIBILITY OF SUCH DAMAGES, AND REGARDLESS OF THE CAUSE OF SUCH DAMAGES. IN ADDITION, EXCEPT WITH RESPECT TO A PARTY’S FRAUD, GROSS NEGLIGENCE OR WILLFUL MISCONDUCT, OR A BREACH OF A PARTY’S OBLIGATIONS PURSUANT TO SECTION 2, 4, OR 5, IN NO EVENT SHALL EITHER PARTY’S AGGREGATE LIABILITY UNDER THIS AGREEMENT, WHETHER IN CONTRACT, TORT OR ANY OTHER THEORY OF LIABILITY, EXCEED THE AMOUNTS PAID TO H & E MARKETING SOLUTIONS, LLC UNDER THIS AGREEMENT DURING THE PRECEDING THREE MONTH PERIOD PRIOR TO THE OCCURRENCE OF SUCH DAMAGES; PROVIDED THAT LIABILITY ARISING UNDER ANY OTHER TERMS AND CONDITIONS MADE A PART OF THIS AGREEMENT MAY BE FURTHER LIMITED AS PROVIDED IN SUCH TERMS AND CONDITIONS. 10.1 H & E Marketing Solutions, LLC, at its expense, shall indemnify, defend and hold harmless Client against any losses, costs and damages arising from a claim by a third party against Client that the Services or H & Marketing Solutions, LLC infringe any copyright or any United States patent issued as of the Effective Date or misappropriates any protected trade secret; provided that Client will provide H & E Marketing Solutions, LLC with (i) prompt written notice of the claim, (ii) sole control over the defense or settlement (provided, however, that any such settlement shall not result in financial liability on Client or require its admission of any fault without its prior written consent which shall not unreasonably be withheld), and (iii) reasonable support and cooperation with regard to the defense. In the event that H & E Marketing Solutions, LLC’s right to provide the Services is enjoined or in H & E Marketing Solutions, LLC’s reasonable opinion is likely to be enjoined, H & E Marketing Solutions, LLC may, at its expense, obtain the right to continue providing the Services, replace or modify the Services so that they become non-infringing but remain functionally equivalent, or if such remedies are not reasonably available, terminate this Agreement without liability. H & E Marketing Solutions, LLC shall have no indemnification liability under this Section 10 or otherwise to the extent a claim or suit is based upon (a) use of the Services or the H & E Marketing Solutions, LLC Platform in combination with software or hardware not provided by H & E Marketing Solutions, LLC if infringement would have been avoided in the absence of such combination, (b) modifications to the Services not made by H & E Marketing Solutions, LLC, if infringement would have been avoided by the absence of such modifications, (c) use of any version other than a current release of the Services, if infringement would have been avoided by use of a current release, or (d) any claim against third party software, content or services that may be included in the Services. 10.2 Client at its expense, shall indemnify, defend and hold harmless H & E Marketing Solutions, LLC against any losses, costs and damages arising from a claim by a third party for any breach by Client of Sections 2, 4, 5 or 8.1, provided that H & E Marketing Solutions, LLC will provide Client with (i) prompt written notice of the claim, (ii) sole control over the defense or settlement (provided, however, that any such settlement shall not result in financial liability on H & E MARKETING SOLUTIONS, LLC or require its admission of any fault or the making of any public statement without its prior written consent), and (iii) reasonable support and cooperation with regard to the defense. Unless earlier terminated pursuant to Section 12, this Agreement shall continue in full force and effect from the Effective Date stated in an Order Form signed by Client and H & E Marketing Solutions, LLC, and will continue so long as any Services or Statement of Work under an Order Form between the parties [is in effect/ are being provided by H & E MARKETING SOLUTIONS, LLC]. 12.1 Generally. Either party may immediately terminate this Agreement, including any Order Form or Statement of Work, and any order previously accepted by H & E Marketing Solutions, LLC: (a) in the event of any proceedings, voluntary or involuntary, in bankruptcy or insolvency by or against the other party; or in the event of the appointment, with or without the other party’s consent, of an assignee for the benefit of creditors, or of a receiver; or if the other party admits in writing its inability to pay its debts when due; or (b) in the event the other party has materially breached this Agreement and, if curable, has not cured such breach within 30 days after receiving written notice thereof by the non-breaching party. If a breach is not curable, the non-breaching party can terminate this Agreement immediately. 12.2 By H & E Marketing Solutions, LLC On Certain Conditions. H & E Marketing Solutions, LLC may at any time and upon written notice to Client immediately terminate this Agreement and Client’s access to the Services or any deliverables under a Statement of Work, or suspend or restrict Client’s access to the Services or any deliverables under a Statement of Work in whole or in part, if: (a) Client breaches Section 2, License, Section 4.1 Ownership of H & E Marketing Solutions, LLC Proprietary Information or Section 8.1 Client Warranty; or (b) H & E Marketing Solutions, LLC determines in its sole and exclusive judgment that terminating Client’s access to the Services or deliverables under a Statement of Work is advisable for security reasons, to protect H & E Marketing Solutions, LLC from liability, or for the continued normal and efficient operation of the Services. 12.3 Effect of Termination. Client’s license rights to use the Services shall terminate immediately upon termination of this Agreement. 12.5 Survival of Obligations. Except for termination arising from a material breach by H & E Marketing Solutions, LLC under Section 12.1 Client shall remain liable for all amounts due under any Order Form, and all such sums will become immediately due and payable upon termination or expiration of this Agreement. Upon expiration or termination, the provisions of this Agreement relating to ownership of proprietary information and confidentiality and any other provisions which by their nature should survive termination or expiration of this Agreement, shall so survive. 13.7 Successors and Assigns. This Agreement shall be binding upon and shall inure to the benefit of the parties hereto and their respective successors and permitted assigns. Notwithstanding the foregoing, Client may not assign this Agreement or the rights or obligations of Client hereunder (including by operation of law or otherwise), except with the written consent of H & E Marketing Solutions, LLC, which will not be unreasonably withheld. 13.8 Excuse of Performance. No liability shall result from delay in performance by H & E Marketing Solutions, LLC caused by act of God, fire, flood, war, government action, accident, labor trouble or shortage, inability to obtain material, equipment or transportation, or similar circumstances beyond the reasonable control of H & E Marketing Solutions, LLC. 13.9 No Third-Party Beneficiaries. Nothing in this Agreement, expressed or implied, is intended to confer upon any person, other than the parties hereto and their successors and permitted assigns, any rights or remedies under or by reason of this Agreement.